Studies in English Organ Music is a collection of essays by expert authors that examines key areas of the repertoire in the history of organ music in England. The essays on repertoire are placed alongside supporting studies in organ building and liturgical practice in order to provide a comprehensive contextualization. An analysis of the symbiotic relationship between the organ, liturgy, and composers reveals how the repertoire has been shaped by these complementary areas and developed through history. 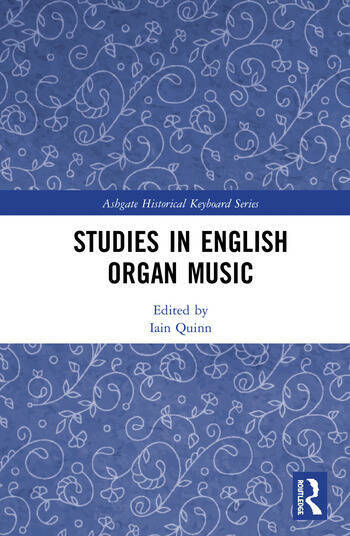 This volume is the first collection of specialist studies related to the field of English organ music. Iain Quinn is Assistant Professor of Organ and Coordinator of Sacred Music at Florida State University. He holds degrees from the University of Hartford, Yale University and the University of Durham. He has been a Visiting Fellow at Harvard University, Visiting Composer in Chapel at Gonville and Caius College, Cambridge, a Fulbright Scholar, and a fellow of the Winston Churchill Memorial Trust. Scholarly writings have been published in Tempo, MLA Notes, Journal of Victorian Culture, Interpreting Historical Keyboard Music, and in editions of Samuel Barber (G. Schirmer), Carl Czerny and John Goss (A-R Editions). He is the author of The Organist in Victorian Literature (2017) and The Genesis and Development of an English Organ Sonata (2017, RMA Monograph Series) and has recorded thirteen CDs as a soloist or conductor on the Chandos, Hyperion, Naxos, Paulus, and Regent labels.